Bags of Fun For Violin is packed with imaginative pieces for absolute beginners: try chattering with skeletons, making a gate creak, admiring an octopus trampolining and watching frogs doing high jump! 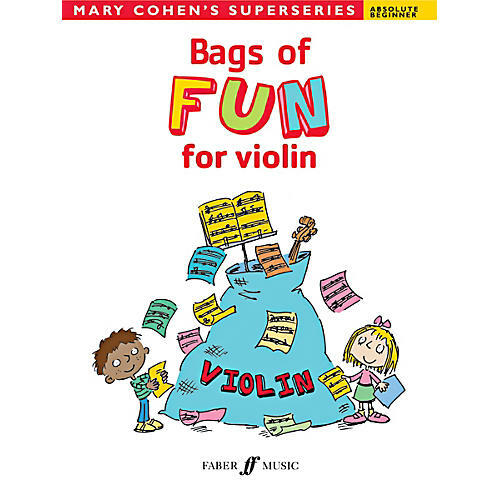 Written by leading string pedagogue Mary Cohen, this book is gently progressive yet always entertaining, with plenty of material on the open strings and a gradual introduction of first and second fingers. Ideal for consolidation alongside any method, for sight-reading practice -- or just for fun!